God is forsaken by the Israelites and grieves. 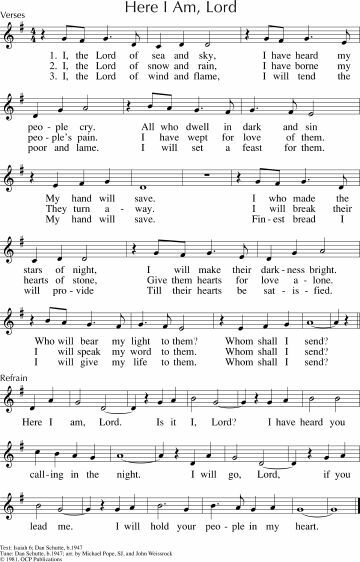 See also the songs suggested for the Psalm. 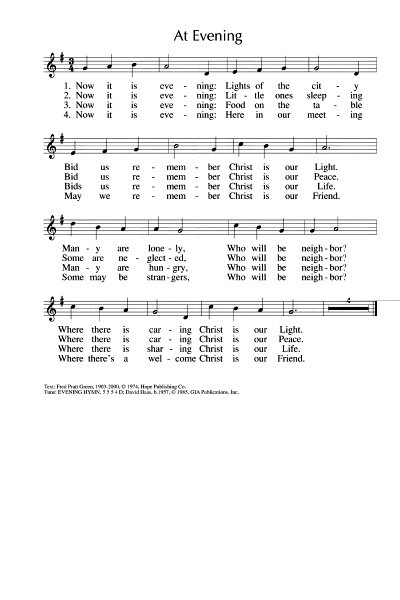 ATOK 322 / HSNW Lord where have we left you (Iona) This song, sung to a simple tune, is about leaving Christ behind at Christmas, so I'm merging the Hebrew Scriptures with the gospel, but I think it's a direction that you could take. God provided Israel with everything, but they didn't listen; God still offers finest wheat and honey from the rock. Emergent Psalter I hear a voice I had not known (Everett) A simple bluesy refrain. Sheet music (refrain only). *Taizé / GC(II)533 Sing to God with joyful hearts / Singt dem Herrn (Berthier) A joyful round. Works well in English and German, and probably other languages too. / Sound samples, sheet music and lyrics. Good for kids. PfAS081A O be joyful (Malawi Traditional) A simple and joyful refrain for this Psalm which could be chanted or read. Energy! Sound sample. PfAS081A You satisfy the hungry heart (Westendorf) Refrain only arranged as a Psalm response. Pretty nice. Sound sample & lyrics. TiS 43 Sing to the Lord a new song (Willcock) Good energetic refrain. Nice time signature! Good words. FFS07 Bring peace to us (John Murray) A simple chant with two possible tunes. Both are good. The first is a round. "Bring peace to us, bring peace through us, O God bring peace". Recorded Music Lay it down / Humility (Michael Gleason) A great song for kids. Not specifically Christian. It explains humility well. Good for kids. Lyrics (pdf). Available here. A happy group of kids on Youtube. *URW223 (refrain 2) Like a tree that's planted by the water (African American) This simple and very well known refrain would work well with Psalm 112, even though this book lists it for Psalm 1. Lots of good advice on hospitality, relationships, doing good, praising continously, Christ's constancy - some of the songs listed for the Gospel reading would also work. AoV2-070 / ATW 496 / MV090 / StJ / G(3)719 Don't be afraid (Bell) Excellent. I love this song of reassurance. "Don't be afraid, my love is stronger. My love is stronger than your fear". This song can be used as a response to intercessions. Good for kids. Sound sample. *Iona (TI1AU) / MV038 Glory to God / Nzamuranza (Mozambique / Matsikenyiri) Simple African call and response song. Sound sample. ATN 18 / NCH552 From the crush of wealth and power (Gibbons) Good words about stepping out with courage to help those in pain and "bind all their wounds again". Well known tune (BRIDEGROOM). CH656 / VU477 / PH507 / CP060 / A&M448 / GtG515 / CP(E) 305 / W&R706 / Cha420 / SP217 / URW120 / StF588 I come with joy a child of God (Wren) A good and jubilant communion hymn. Lyrics and a very slow tune sample here. ELW341 / SFFS 2187 / G(II)549 / GC759 / GC(II)752 / G(3)857 / W&R627 / Cha471 / Lau675 Now it is evening / At evening (Pratt Green) A song of justice and caring for others who are lonely, hungry in the city. The set tune is really good and simple, but it can also be sung to BUNESSAN. Mostly makes sense for evening services only, but maybe it could work in the morning…? Lead sheet. Sound sample. TiS 468 / NCH309 / PH436 We are your people Spirit of grace (Wren) I really like the lyrics to this one. 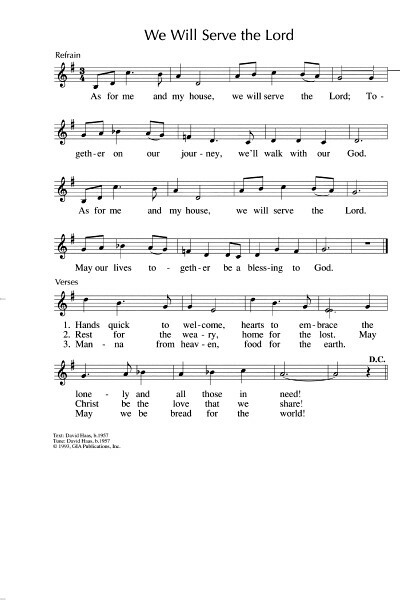 The tune is a bit funny and the hymn is quite long - needs something to stop people plodding through it; maybe split the singing into male/female or different sides of the congregation. Sheet music. ATE 284 / VU395 Come in, come in and sit down (Manley) A fun song. Great for kids. Teenagers think it's tacky, and sometimes I agree with them. Lyrics (downloads a pdf). Good for kids. Got any ideas you'd like to add? Please write a comment below!